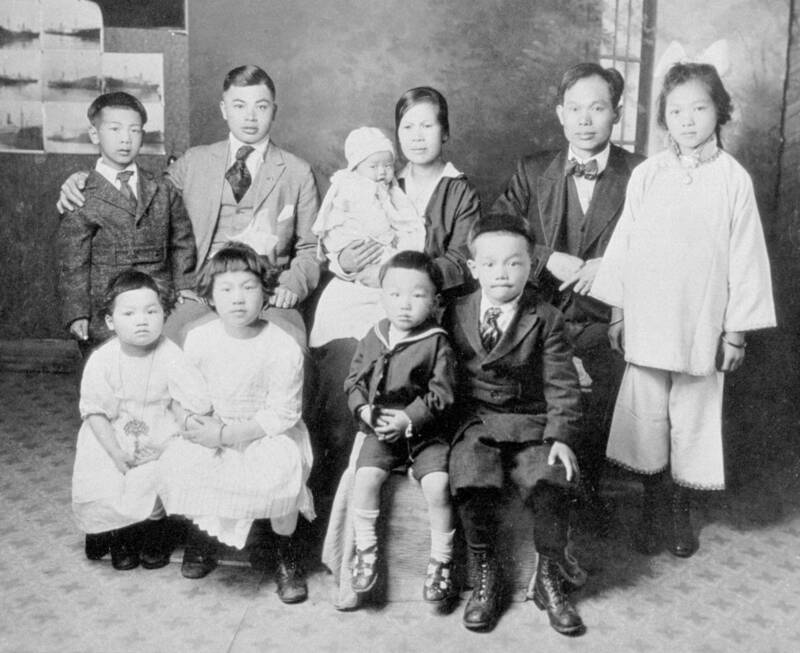 In this family portrait, the Lees pose with their seven children and their “paper son.” Relatives of American citizens were allowed to enter the country under the Chinese Exclusion Act, so many immigrants purchased false identities and pretended to belong to a family who had already immigrated; they were relatives on paper only. Paper relatives had to remember the details of their “family” long after leaving Angel Island, as they could still face future inspections from the Bureau of Immigration. The Lee family immigrated from China through San Francisco and later moved north to Chico, California in 1924. “Lee Family,” Digital Public Library of America, https://dp.la/item/2da637457d827b93d6d7fa35d2b05741. Courtesy of California State University, Chico via California Digital Library.